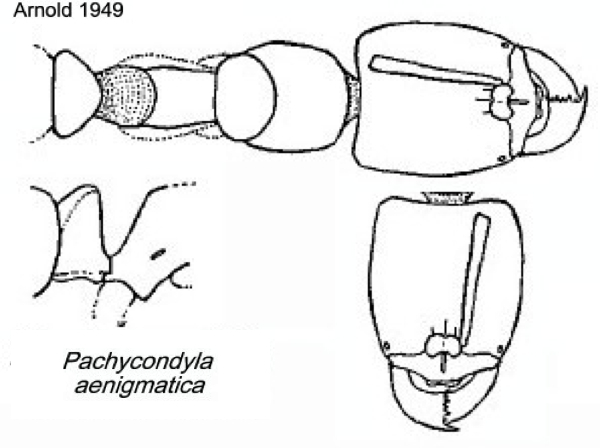 Type location South Africa (Ponera aenigmatica n. sp., Arnold, 1949: 265, illustrated, worker) Stanger, Natal, J C Faure, worker only described. 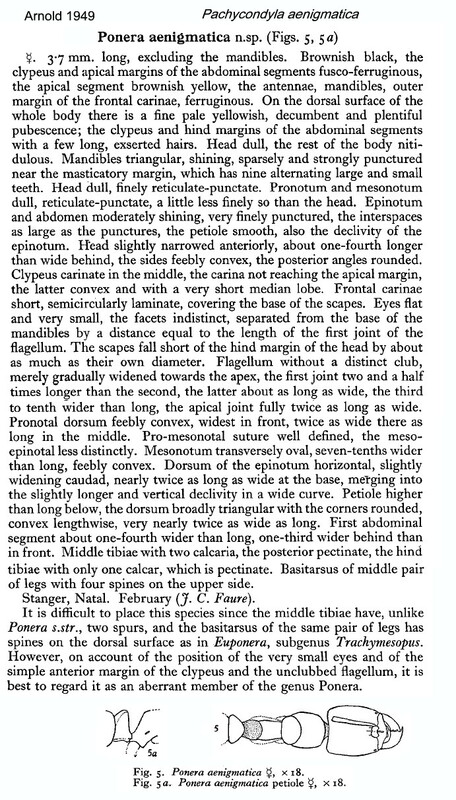 TL 3.7 mm; brownish-black, posterior margins of gastral tergites and clypeus brownish-yellow, appendages ferruginous. 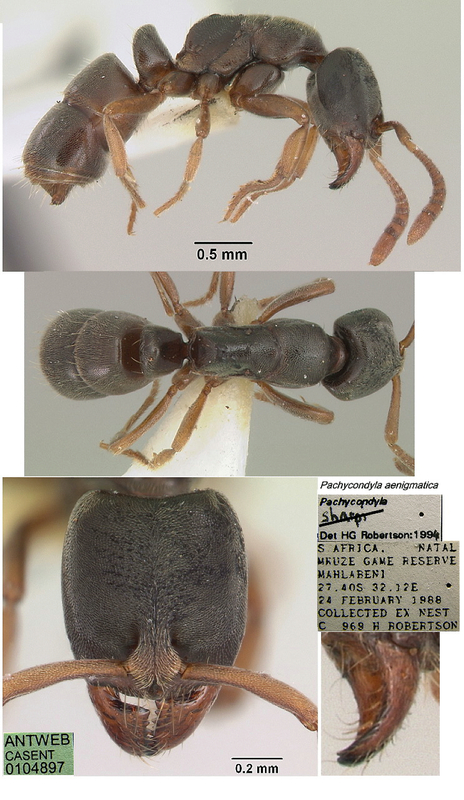 The photomontage of a specimen from South Africa, labelled Pachycondyla sharpi, presumably unpublished, is collated from http://www.antweb.org/specimen.do?name=CASENT0104897. This matches all the characters described by Arnold (1949). The photomontage is of a worker from Gabon, Pongara National Park; collector Yves Braet (Gabon 177).